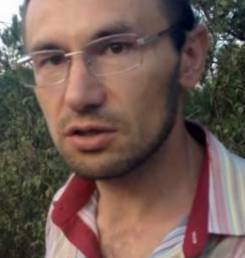 The ongoing persecution of imprisoned Crimean Tatar activist Emir Kuku and his family must stop, said International Partnership for Human Rights (IPHR) today. Emir Huseyn’s nine-year old son Bekir goes to primary school in Koreiz village near the town of Yalta in Crimea. In between classes, in March 2016, he was approached by a man who asked the child to step aside and started telling him that his father had had some business dealings with “bad men” and now would spend some 10-15 years in prison. The man then asked Bekir to be a witness against his father. Emir Huseyn Kuku is Crimean Tatar activist and human rights defender, member of the Crimean Contact Group on Human Rights who was detained by Russia-controlled Crimean authorities on 11 February 2016 on accusations of membership of the group “Hizbut Tahrir”, which is banned in the Russian Federation. Currently, Emir Kuku is in pretrial detention in Rostov-on-Don in the Russian Federation. According to his colleagues, Emir Kuku has had nothing to do with any movement advocating violence and there is reason to believe that he was arrested in connection with his activity as a human rights defender. Emir Kuku has been an active member of the Crimean Tatar movement since 1993 when his family moved to Crimea. He became a respected leader of the Crimean Tatar community in Koreiz (Yalta, Crimea) leading campaigns against unlawful construction projects in protected areas. In 2010 he founded the Southern Human Rights Group, and in 2014 he became the founder of the Human Rights Movement of Crimea, where he headed the Yalta branch. Emir has been an active member of the Crimean Contact Group on Human Rights on human rights investigating forced disappearances of Crimean Tatars and providing legal aid to families of arrested activists. Emir has also been working closely with member organizations on the Civic Solidarity Platform (CSP), in particular with IPHR on collecting evidence about human rights violations in Crimea. Aleksander Popkov, Emir’s defense lawyer, appealed to the police asking to investigate the unidentified man who followed Emir’s son Bekir earlier this year. However the police refused to open an investigation. Instead on 26 August 2016, a police officer telephoned Emir’s wife, Meriem Kuku, and asked to interview Bekir and his eight-year-old sister Ayshe. After Meriem refused, the police officer then went to the school and arranged to meet the children without parental consent. The defense lawyer Aleksander Popkov followed up with the local police station and it became clear that the Prosecutor’s office had launched an investigation against Emir Kuku under article 156 of the Criminal Code of the Russian Federation “Failure to Discharge the Duties of Bringing up a Minor”. We are seriously concerned about the arrest and continued detention of Emir Kuku, as well as the intimidation of family members. We demand that the persecution of Emir Kuku and his family ceases immediately and that he is immediately and unconditionally released from detention.